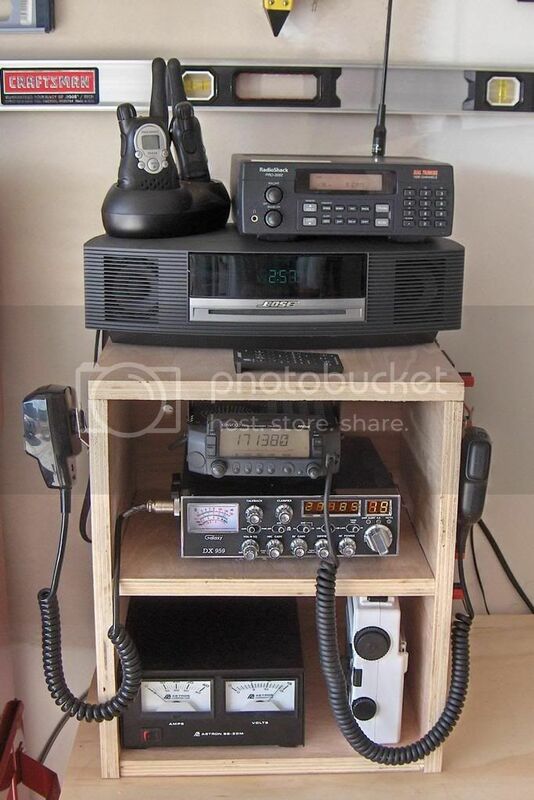 Here is a thread for showing off your CB, ham radio, or other communications setups. They can be in your vehicle, at home, or wherever you're talking from. Pictures and links only, please. ...my Icom-718 HF transceiver. 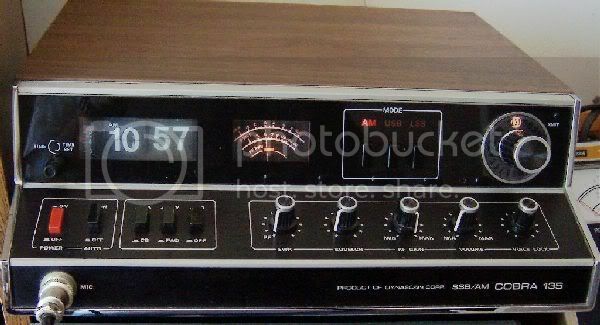 This is the radio I use to talk worldwide. I bought it brand new from a ham who had won it at a hamfest, so I got it for $100 below the retail price. ...a Tom Barrasso Iron City beer can from the early 90s. Go Pens!! 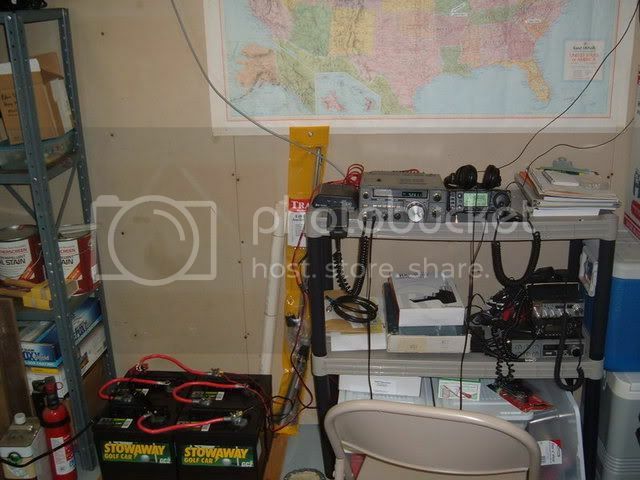 ...on the far right, sitting on the matchbox, is my Radio Shack 2 meter transceiver. I need to work on it, since there is only one volume - all the way up. 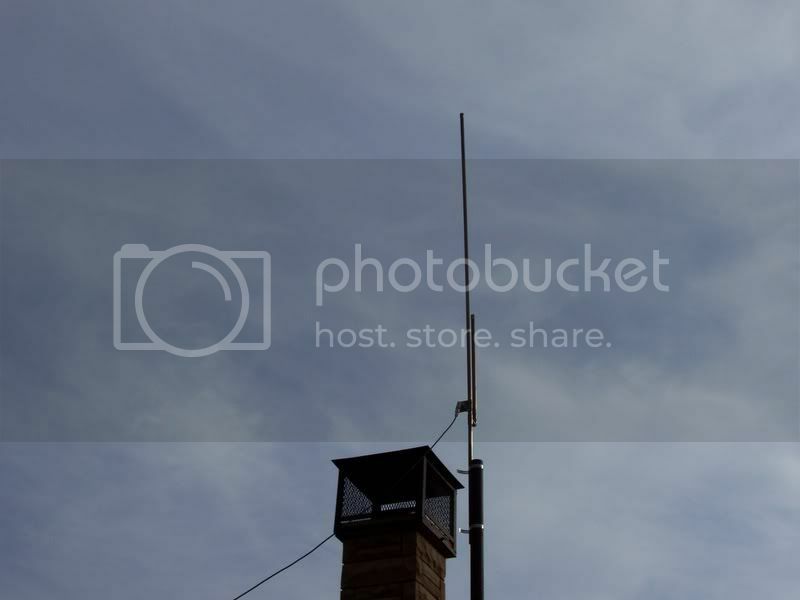 The 2 meter antenna is a homemade dipole thumbtacked to the basement ceiling. I can hit all the local repeaters, even with a ground-level antenna. 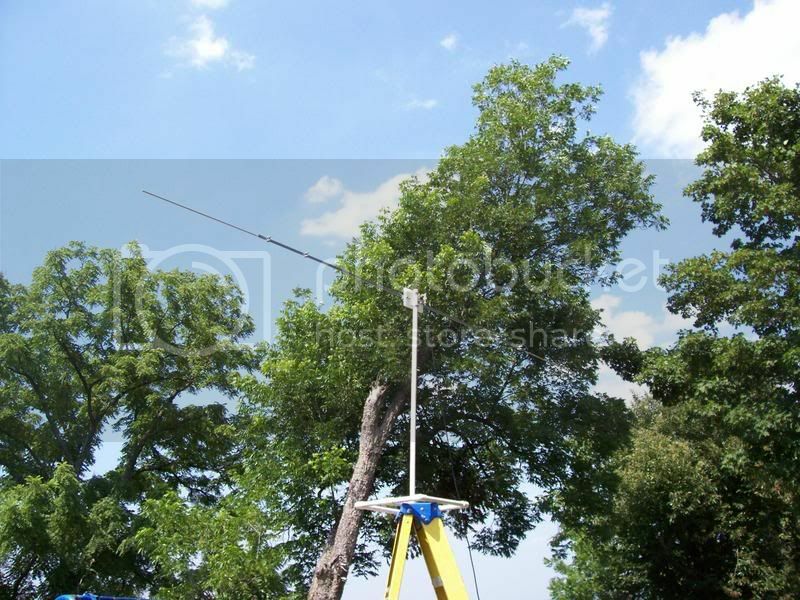 The HF antenna, as I said, is a Windom half-square up about 10 meters from the ground. It works on all the HF bands from 40 m to 10 m, except 15 m. I'm thinking of building a 20 meter quarter wave vertical as well since the one at work gets out so well. So, here is the gear I had on me during the photoshoot this past weekend. Note that I did not have the amplifier connected that day. Also I was using a single white ear bud instead of the earphones in the pics. Accessories: Yaesu E-DC-5B 12v Cigarette Lighter Adapter. 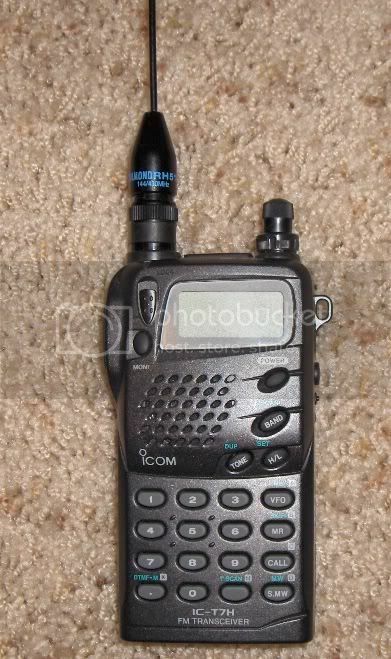 Yaesu MH-57 handmic. 4 ft SMA to PL-259 jumper cable. Nifty Quick-Reference Card. Koss earphones. Small carrying case for earphones. The cig. lighter adapter provides filtered, regulated 12volts to my radio off the gel cell--for long lasting pleasure and can also simutaniously power the amp. kyle wrote: "I can't dispute my level of coolness"
Not very exciting but I thought I'd share. That desktop computer on the far left is what the forum is on (one of the mirrors anyway) as well as Kylenet.com. The HF rig on the left isn't set up completely yet, by the way. You bet! See the fourth post in this thread for all the pertinent details! Sounds like we may want to wait until Kyle and Ollie get the "/AG" after their name, if 2now and Ghostbear don't show up that often. Otherwise it will just be me and Dr. Jest. And while we will no doubt have a blast, it kind of leaves everyone else out in the cold. 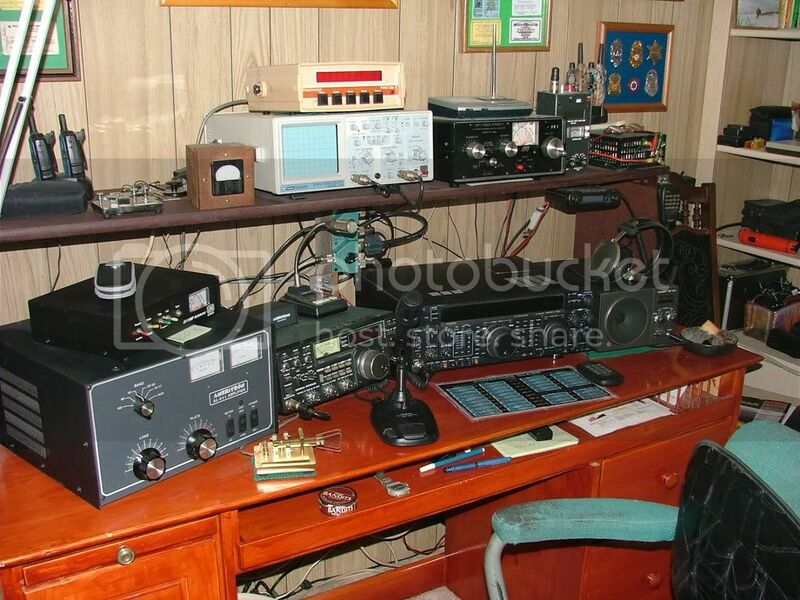 But I am up for about any kind of QSO, with anyone who wants to shoot the breeze. Except my CW is a little..uh..a lot...rusty! 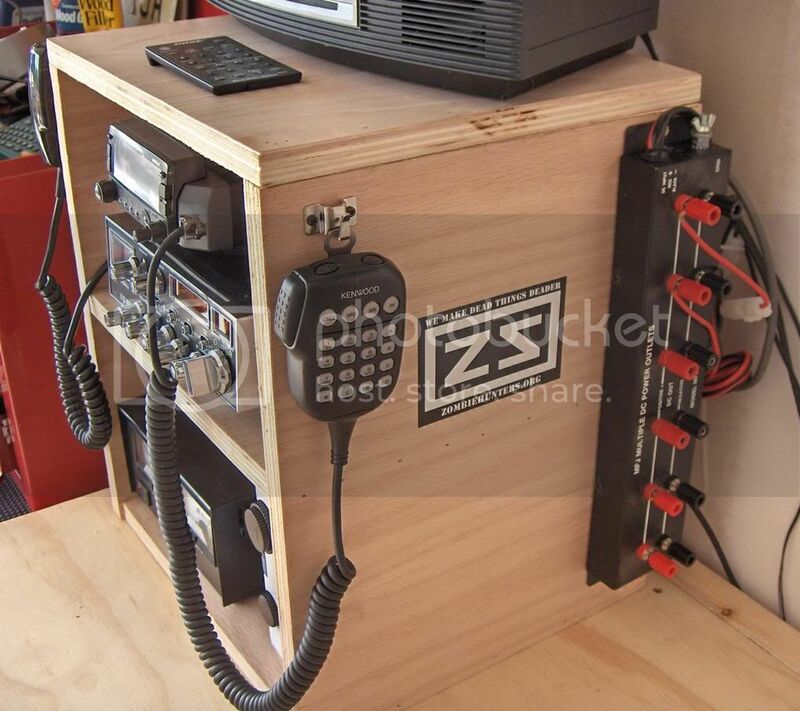 Kyle, I don't know what kind of rig Dr. Jest was gracious enough to supply you with, but for my radios I use a bank of 4 golf cart batteries to provide power. I thought about buying a power supply, but I spent the money on the batteries and a Vector "Smart Charger" instead. You can see them off to the left in this photo. The battery bank has obvious uses besides powering radios, of course. Not much of a shack, but it works for me. Sorry about the mess. Also I apologize for not getting the size (width, specifically) of my post under control. I don't know how to fix it. Here is my little shack. I have a Galaxy DX959 CB. Macbook....OSX lasted all of like 3 months lol...back to windows and im gonna put ubuntu on it as well. Not pictured is a pyramid 35amp power supply below the desk, little mag-mount antenna for the yaesu that's sitting on the bookshelf nearby and a hustler vertical on the roof for hf. The whole setup is gonna be moved to the basement eventually...Im remodeling upstairs so the shack is getting the boot for a while. Here's my setup. 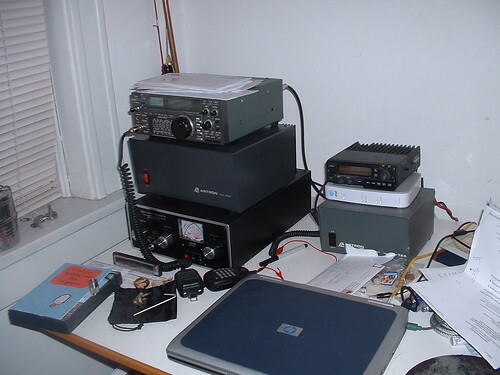 Icom IC-735 10-180m HF rig, Yaesu FT2500M 2 meters. Not shown are my 2 meter and 2m/440 HTs, or my new Vectronics 6m FM receiver kit. I still don't have a decent antenna for the HF rig, but it's coming. The solar panel removed showing the contents below. 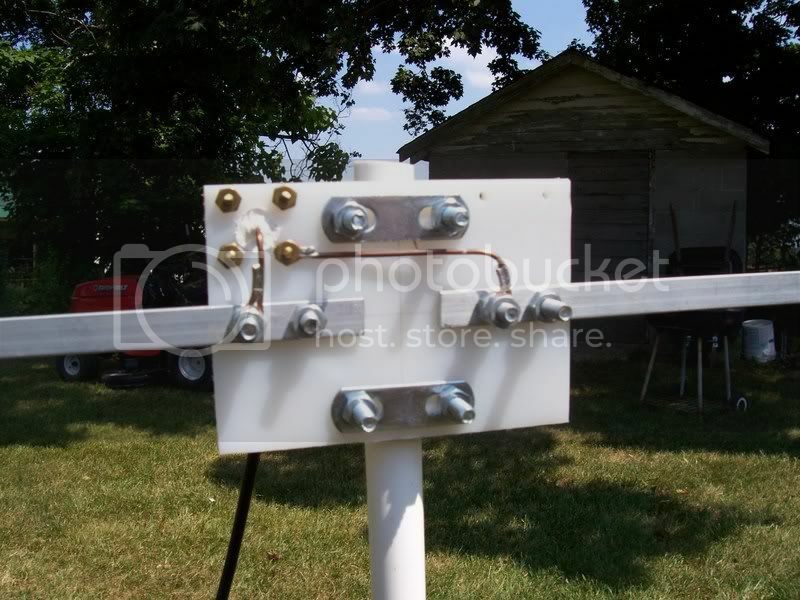 a 25 foot RG-8x coax cable and sheet with ham bands and instructions for the antenna. 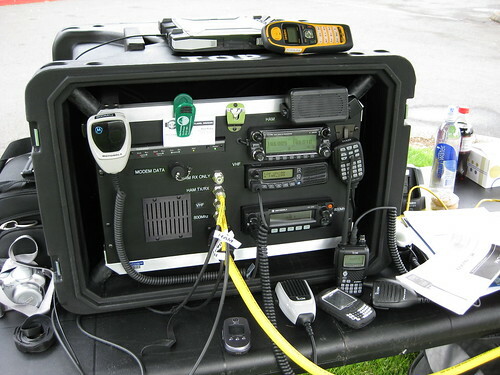 VHF commo gear. All my vhf gear is handheld for now. 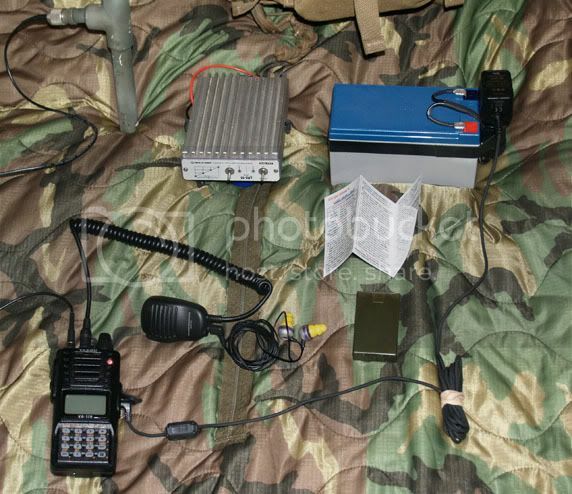 From left to right: (3) frs radios with a few batteries. I have more AAA batteries but to keep the weight of the case down I keep them elsewhere. DC power connector for charging the ham HT's to the right, along with a wall wart charger. (12) 2100 mAh Nimh batteries for the HT's and the scanner. A NiCad battery for the HT's, along with (2) AA battery cases. Vertex standard VX-150 2m HT, yaesu FT-60R 2m/440 HT. Both these take the same batteries and charger, and have water resistant cast-aluminum chassis. The radio farthest to the right is a radio shack scanner for police/fire/air bands. And last but not least a 4 cell AA or AAA Nimh and nicad quick charger. The wall wart is attached but it runs off a 12V cigarette plug as well (didn't get a pic of that). HF commo gear. 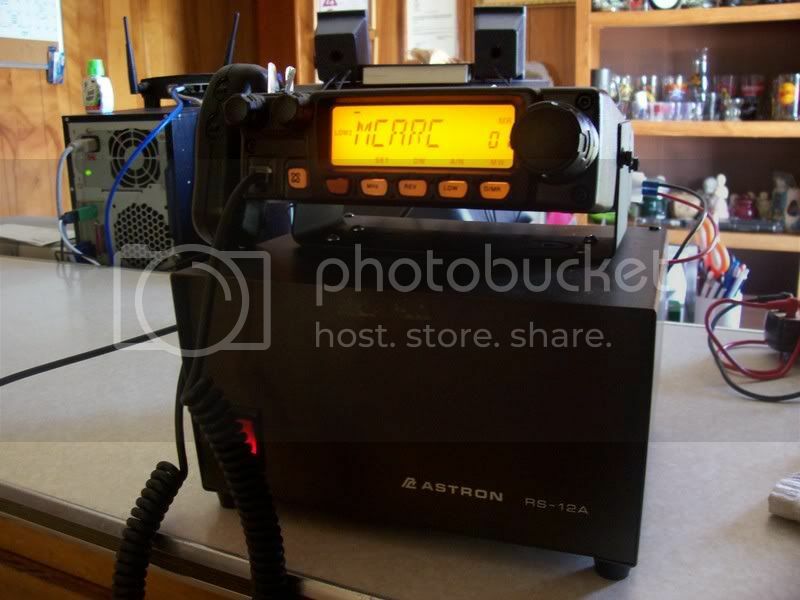 Alinco DX-70T HF+6m transceiver and cheap autotuner. Power pack and topray solar fold-up solar panel. Last edited by k8cix on Wed Jan 21, 2009 12:47 pm, edited 1 time in total. Here is what I started with. 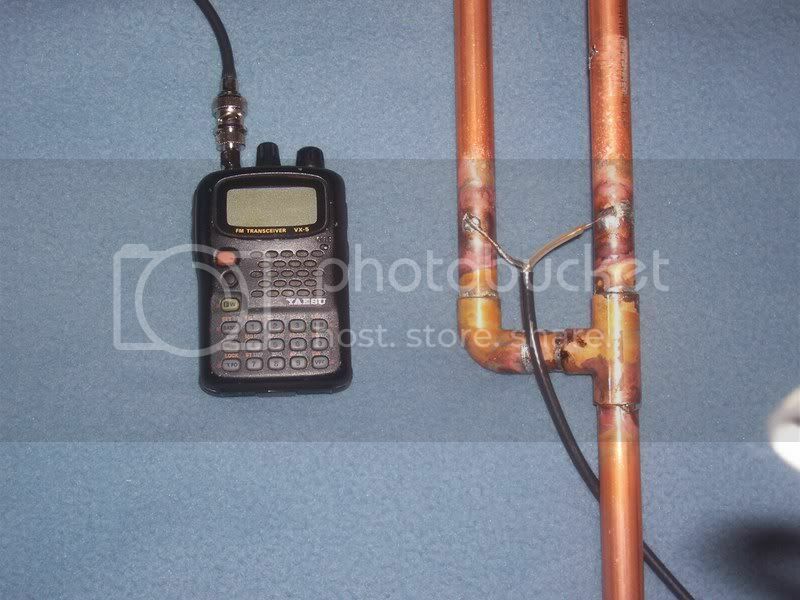 Yaesu VX-5R and a homemade J-Pole. I am now using a Yaesu FT-2800M as a 2m base. Homemade J-Pole mounted to the plumbing vent. 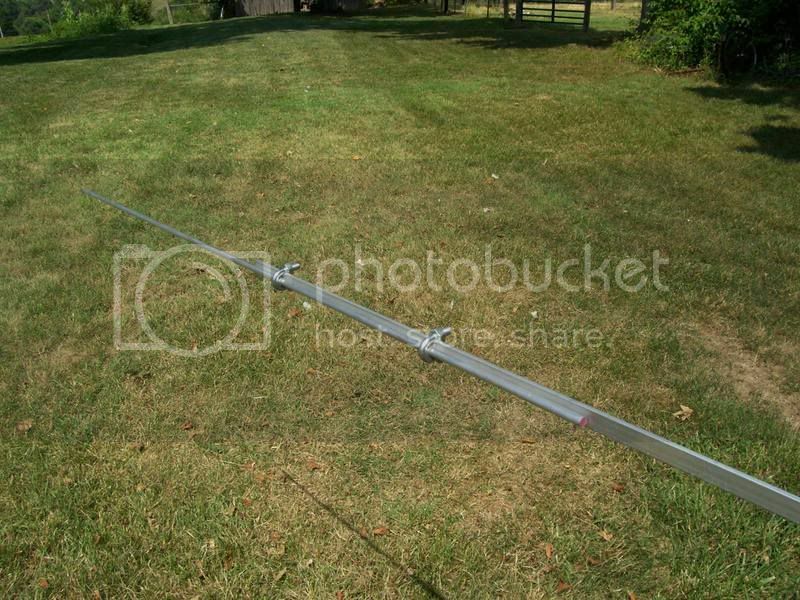 A homemade 6m dipole. There is not a lot of 6m traffic around here, plus my HT is the only radio I have that will do 6m so its put up for now. 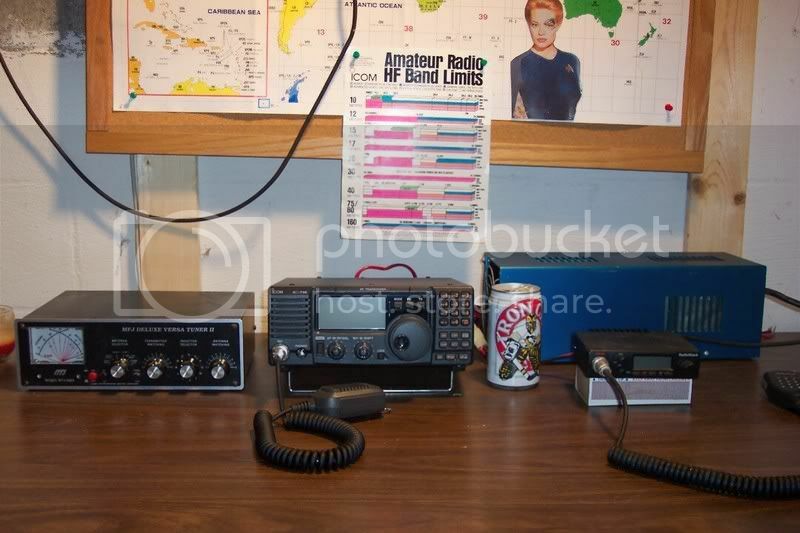 This is a photo of my very basic radio setup. I now work mostly digital modes useing a Icom IC-718. 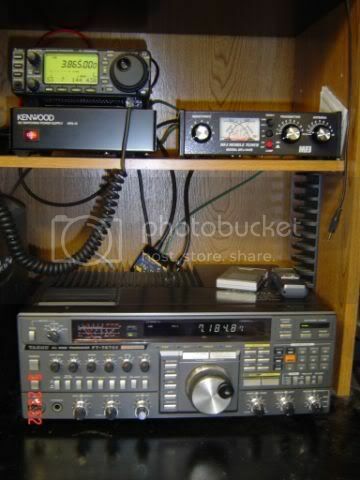 The Kenwood TS-520S is used for SSB on some of the local nets and to talk with friends. Having owned a lot of the higher end rigs, I find I enjoy the simple rigs and setups. Ne Ver', Ne Boisya, Ne Prosi - Which means - Don't trust, Don't fear, Don't beg. Ja, ich habe meine Papiere. Here is my updated shack. For antennas, I am using a J-Pole for 2m, a homemade dipole and a Butterneut HF6V vertical for HF. Icom IC-706MKIIG all-mode transceiver provides 100 watts on HF and 6 meters and 50 watts on 2 meters plus 20 watts on 440 MHz. It receives from 30 kHz to 199 MHz and from 400 to 470 MHz. 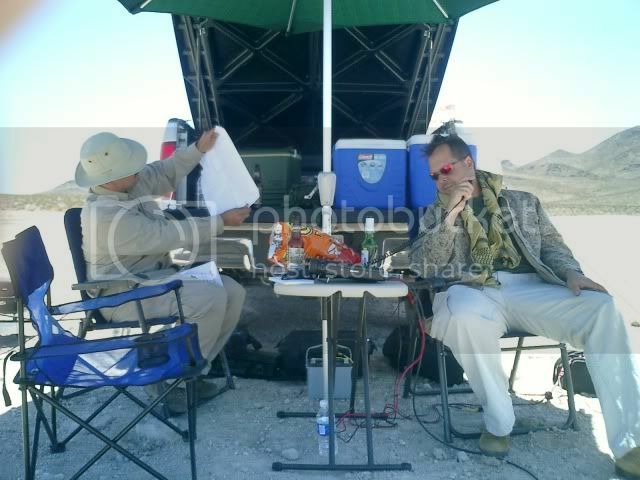 The IC-706MKIIG goes mobile with us. The Yaesu FT-767GX is an all-mode HF transceiver covering 160 to 10 meters bands. Plus optional band module for 2meters. Radio includes a built in HF antenna tuner. It's an oldie, but, works great. "Be polite, be professional, but have a plan to kill every person you meet." I seem to have a fetish for green radios and here are a few of my favorites. 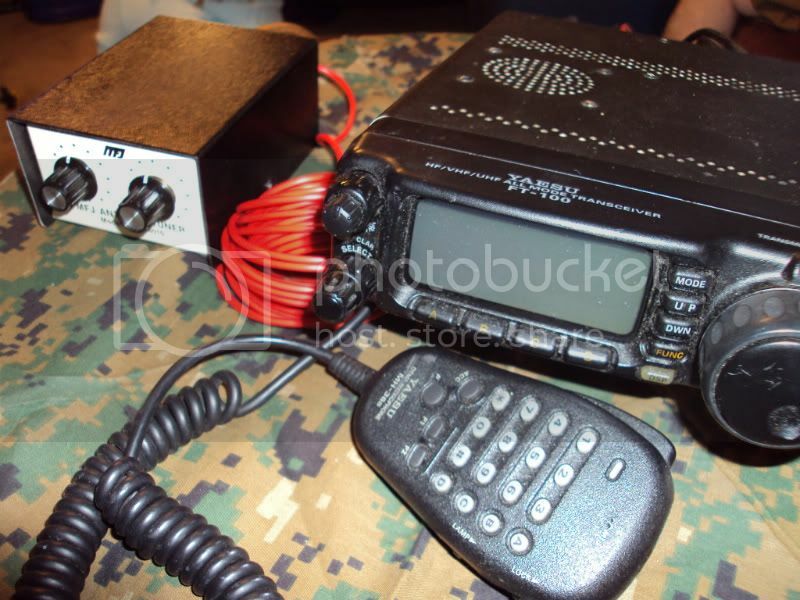 These are probably the latest mil radios you can legally own and anything newer will probably have embedded Type 1 encryption that you really don't want to be associated with. 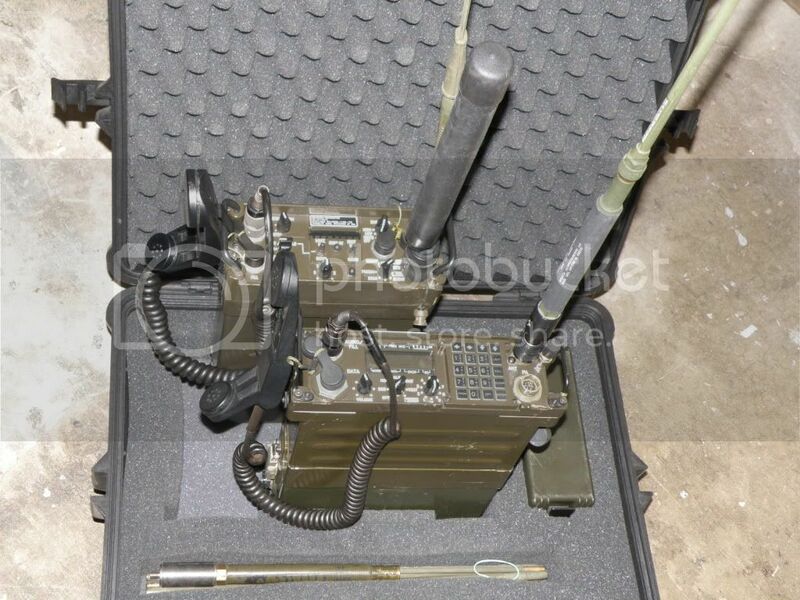 The front unit is a Harris PRC-138 25w HF/VHF manpack, 1.6 to 60MHz continuous AM/FM/SSB/Digital voice/frequency hopping/encryption. It has a built in antenna tuner that will tune anything and the radio is full DSP with selectable IF bandwidths and syllabic squelch. 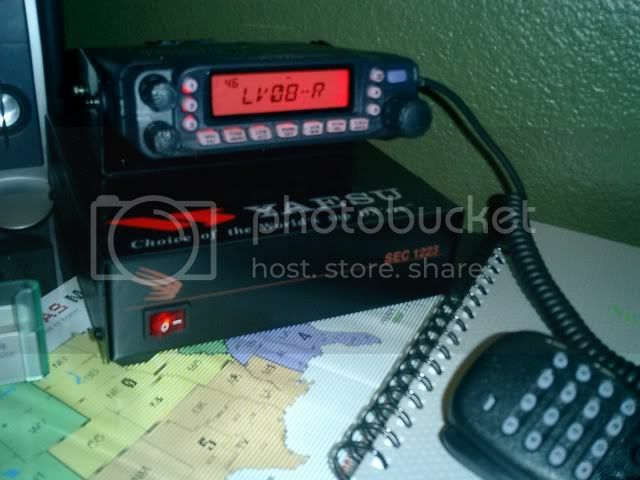 The rear radio is a Harris PRC-117D(E) that covers 30 to 420MHz AM and FM with frequency hopping. Flea wrote: I have a Galaxy DX959 CB. The National Area Group (chapter?) Thread... meet, greet, and share. "Murdered Hundreds and Hundreds of People? DO NOT fist pound." I work 20 meters and 40 meters with the Icom 718 with folded dipoles at 35 feet. 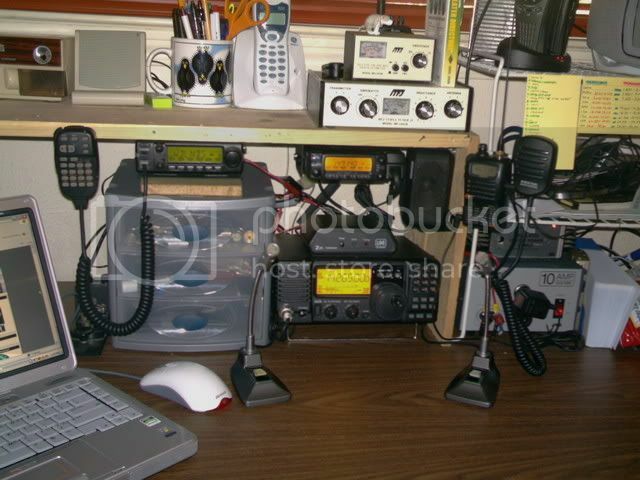 I work 2 meters, 440 and 220 with the Yaesu FT-60 and Yaesu VX-6. Since all the guys in my PAW Posse live within 5 miles of each other, we all just picked up the basic Icom from hamcity. I'ma make a deal with the bad wolf so the bad wolf don’t bite no more. First post I've made on ZS in forever, and well I figured what better than this. Home and Portable set up. 29ft Random Wire Antenna, and not shown is the Dual Band 2m/70cm Jpole.